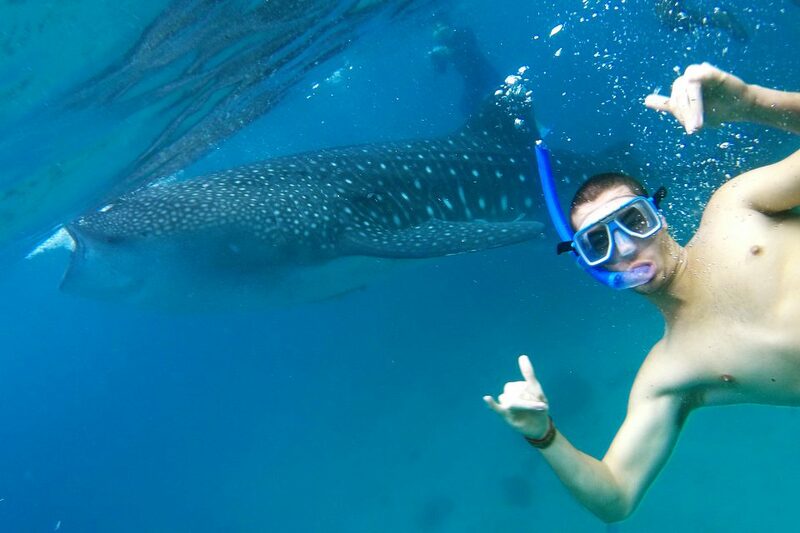 Although the swimming with the whale sharks in Oslob, Cebu is a rather controversial activity, no one can deny that it is an incredible experience. 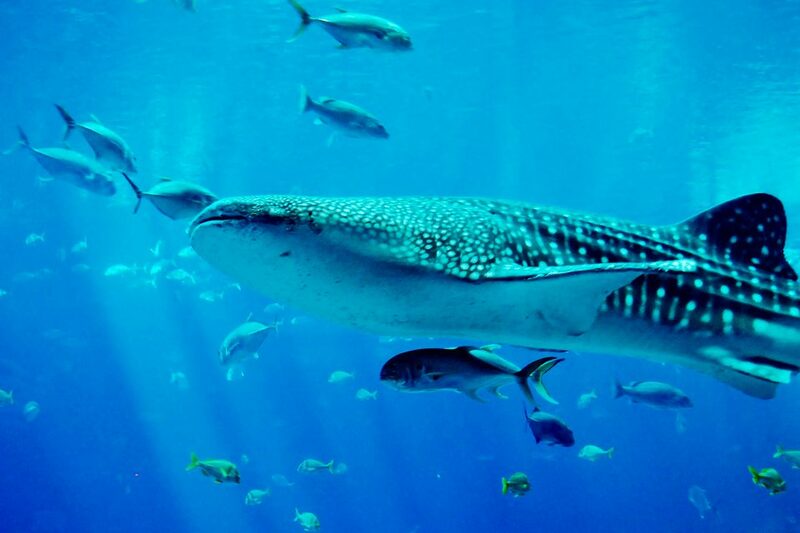 Whale sharks, the gentle giants of the sea can be found mainly in two spots in the Philippines. In Donsol, Sorsogon where you can see them swimming during their regular migratory route, or those that are in Oslob, Cebu. Unlike the whale sharks that can be spotted swimming around, the whale sharks in Cebu are somewhat domesticated being that they decided to never leave the shores of this small fishing village. The fishermen who lived in the village had started feeding them on a regular basis thus disrupting their feeding patterns. Although this has caused the economy of the small fishing village to rise due to the influx of tourists, a lot of people are still in opposition of this. Ethical issues aside, we made our way to the small town of Osblob from the main city of Cebu. 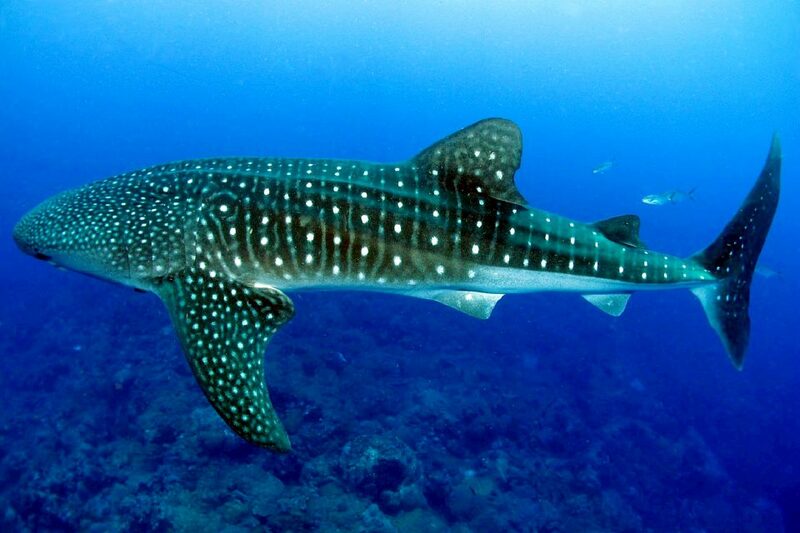 If you are looking to do this trip, please note that the feeding of whalesharks is only until 12noon so schedule your transport accordingly. As soon as you get there, you can rent lockers where you can store your stuff then you can pay the necessary fees for the equipment. 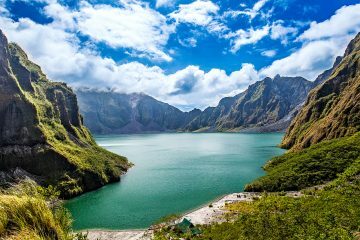 Wondering Where to Stay in Cebu? This included the fee for the boats and snorkel equipment. 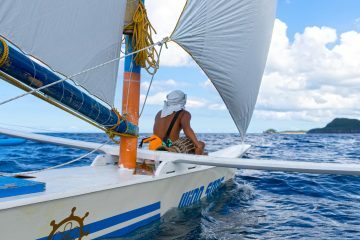 For a more update price list and further information, you may go to Oslob Whalesharks which offers private tours/more info on feeding schedules and accommodations. The whale sharks are actually very close to shore. The paddle boats are rather unnecessary but is regulated by the government and has helped make jobs for the people in Oslob. Before heading to the boats, you will be given a brief where the rules and regulations are explained. Sunblock is not allowed along with touching the whale sharks. Maintaining a 3-4ft distance between the sharks and yourself is advisable. Once we were on the boat, there was nervous chatter going on. Although we knew the whale sharks were harmless, the sheer size of them (20-30ft) long can definitely get you a bit nervous. As soon as we reached the spot, you could see the boats spread out in the feeding area. Our boatman told us to jump in and soon we were swimming in the water, waiting for our encounter with these magnificent creatures. After a few minutes of waiting, our boatman starts yelling that there was a whaleshark approaching us from the East. We turned around and started swimming towards it. Our initial reaction was to freeze as you see this massive creature swimming towards you. As soon as you recover from this, you start angling yourself where you can see them from the side in all their glory. Soon, other tourists start swimming towards it so we began swimming towards another direction. During the time that we were there, there was about 4-5 whale sharks. Two really big ones and about 3 young ones. At one point, there were 3 whale sharks all swimming towards our direction, without any plans of moving away to dodge us. Every time I would see one, my heart was pounding as I swam next to these gentle giants. 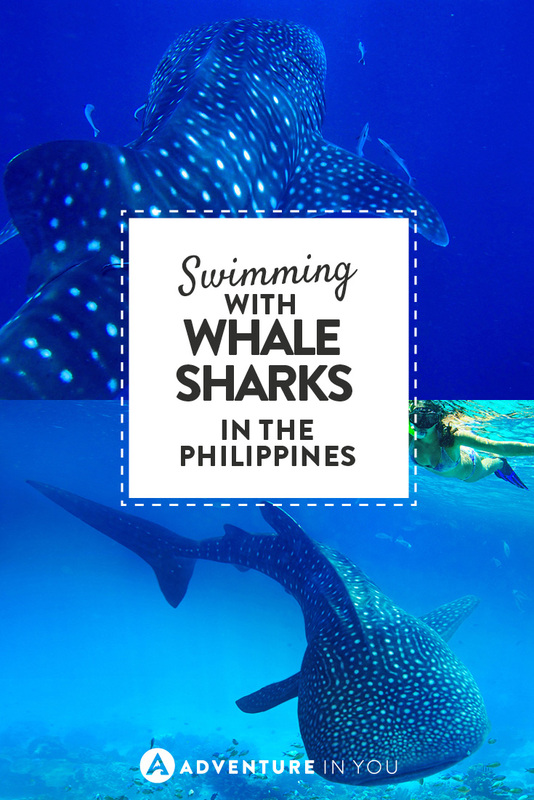 There is a lot of controversy behind the swimming of whale sharks in Oslob. To be perfectly honest, we went there before really reading up on anything which we know isn’t an excuse. If given a choice, would we swim with them again now? Probably not. Just because there has been too much irresponsible and uneducated tourists who abuse the chance of interacting with these magnificent creatures. Touching and getting too close to these creatures is NOT allowed and should be strictly enforced. However, we will leave the decision to you. If you want to make the decision yourself, you can also read this article which states why you shouldn’t support the whale shark tourism in Oslob. I would much rather see these creatures in the wild, preferably when scuba diving, seeing them in their natural habitat without the overcrowding of tourists. 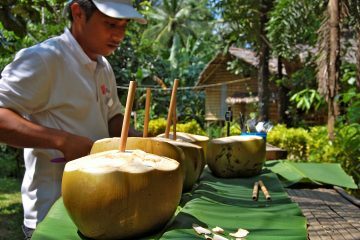 Insider Tip: From the whale shark feeding center, take a motorbike and head on over to Tumalog Waterfalls. Having travelled all over Asia where seeing waterfalls is a common thing, I can still say do not miss out on this one! The Tumalog waterfalls is a sight to see. From there, you can head on over to Moal Boal, Cebu to do the sardine run which is pretty awesome as well! Since there are literally so many places to see and visited in Cebu, we decided to compile a list of our personal recommendations in where to stay in Cebu. Hopefully, this list will help you decide and will give you lots of options, depending on whatever budget you have. 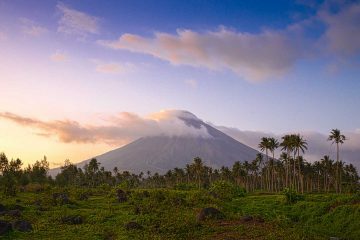 Want to read more about the Philippines? Check out these other articles and get inspired! I can see why some people are against swimming with them there. Hopefully people respect the rules of no sunblock and not touching them. They are quite vigilant with the rules. We would prefer to swim with them in the wild though…but it was still an incredible experience. This is so cool. 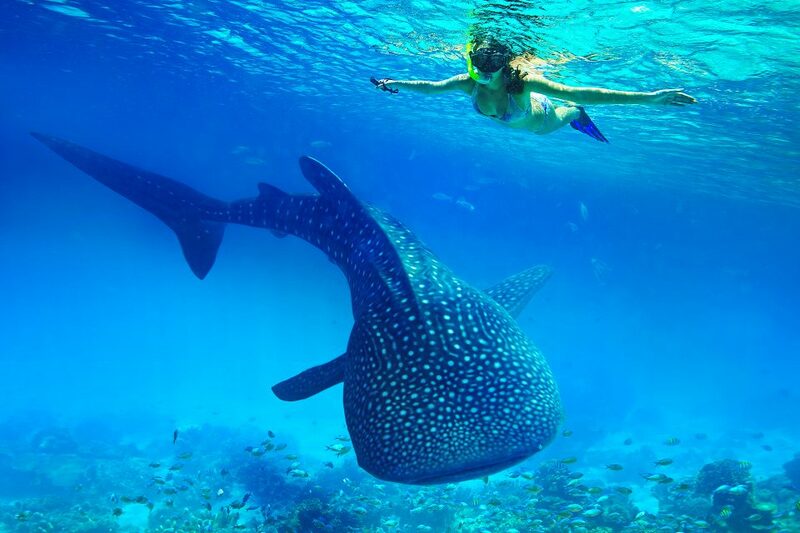 I plan to go to Mexico to snorkel with whale sharks next Aug/Sept. What an amazing experience! Ahhh! Enjoy! It will be an awesome experience! It sounds like a really cool experience, but I think the size would really freak me out. Especially if it seems like they could have swallowed you! I believe that they are harmless, but still it’s a little scary haha! Thank you!! Yeah their size can be daunting but it was incredible! That is so cool! I cannot believe they are domesticated. Wow! Looks like fun. Wow that looks great and scary! I have only been swimming with dolphins and it was tense for me since I am not a big fan of water activities. I hope someday I will overcome my fear and try it cause it looks thrilling! I went swimming with whale sharks in Mexico a few months ago and I had similar feelings about it. Although they are in the ocean, I didn’t feel like I was swimming with them in the wild. There were just too many tourists. When one approached me, I felt like I could fit in its mouth. The most I saw was two at a time so it sounds like you had more interaction with them. Overall, it is amazing though. I would like to try it in other locations. Awesome! I can hardly wait until my son is a little older this is something we both want to do. I am not sure how I feel about the feeding of the Whale Sharks, semi-domesticating these creatures seems wrong. None the less a great experience for sure. I’m sure your son will love it! We agree it would be better seeing them in the wild! Wow, 20-30 feet long! That’s insane. I’m sure they would never let you swim with them if it was at all risky, but that’s an impressively long shark. They’re beautiful, too.